Misanthropic death metal trio, Glacial Tomb announce a winter tour beginning on January 4th in Bozeman, MT. 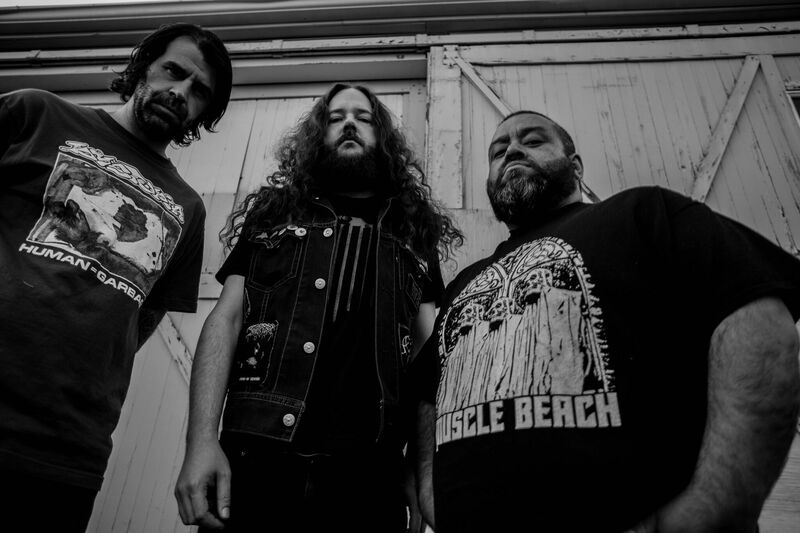 The tour will lead the heavy hitting trio down the Pacific Northwest, into California, and back to their home state of Colorado on January 12th, leaving harrowing, blackened dread along their path. Glacial Tomb are touring in support of their critically acclaimed self-titled debut which was released on October 26th (LP/CD/digital) via Gilead Media. Denver’s GLACIAL TOMB (Ben Hutcherson – Guitar, Vocals; Connor Woods- Bass, Vocals; Michael Salazar – Drums) take death metal to new heights with their eponymous debut album. Unrelenting, calculated, and intense, each of the 7 tracks on “Glacial Tomb” see the band draw inspiration from death metal at a time where the genre relied on unforgiving sonic brutality as much as it did masterful musicianship. Tracks such as the opening “Monolithos” and “Witness” see the band club and pummel the listener with some of the heaviest riffs to spawn from the Western US, while tracks such as “Breath of Pestilence” showcase the band’s punk rock spirit as they contemplate existential dread, misanthropy, and failure. Not to be confined to a single sonic identity, much of GLACIAL TOMB’s music ebbs and flows throughout the spectrum of the extreme; incorporating sludging riffs, and angular, dissonant black metal chording into their arsenal. “Glacial Tomb” is a heavy, at times uncomfortable album, and one of 2018’s most undeniable releases in the genre.